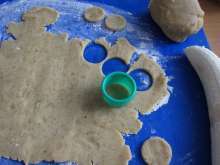 Work stiff dough from flour, walnuts, sugar, egg yolk and butter. 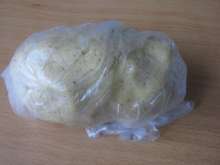 Cover the dough with microten bag and place it in the refrigerator over night. 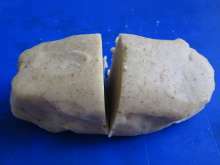 Cut the rested dough into half. 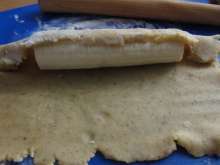 Use a rolling pin to spread one half on a floured board until it is about 3 mm thick. Cut out 30 small rounds. 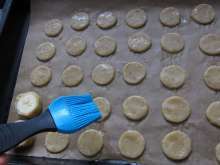 Place the rounds on a baking tin with parchment paper. Spread beaten egg white over them. Admix rounds leftovers with the second half of the dough. 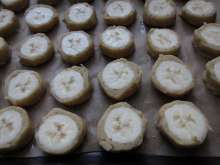 Peel the bananas and cut off their curved ends. 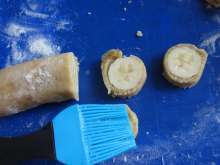 Use a rolling pin to spread the dough until it is about 3-4 mm thick and cover straight parts of bananas. 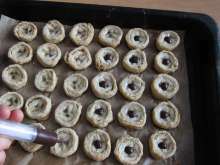 ... and place them into the baking tin with spread part at the bottom. 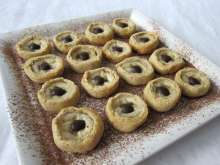 Bake in preheated oven 20 minutes at 355°F (180°C). Once cooled, spray chocolate pupils on the eyes from melted chocolate. 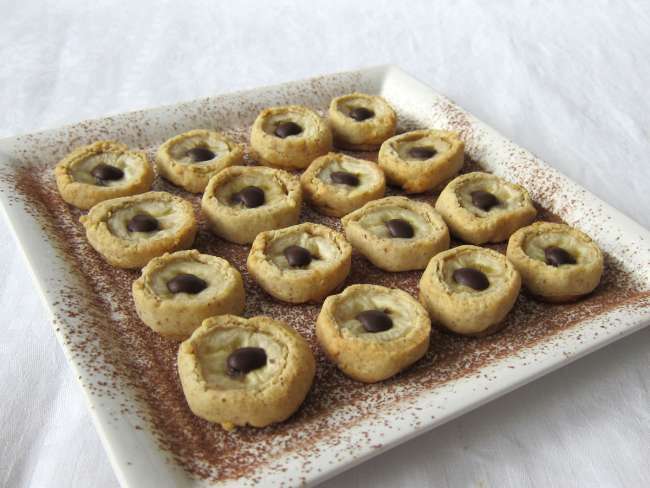 Serve on a plate sprinkled with sifted cocoa powder and sugar.